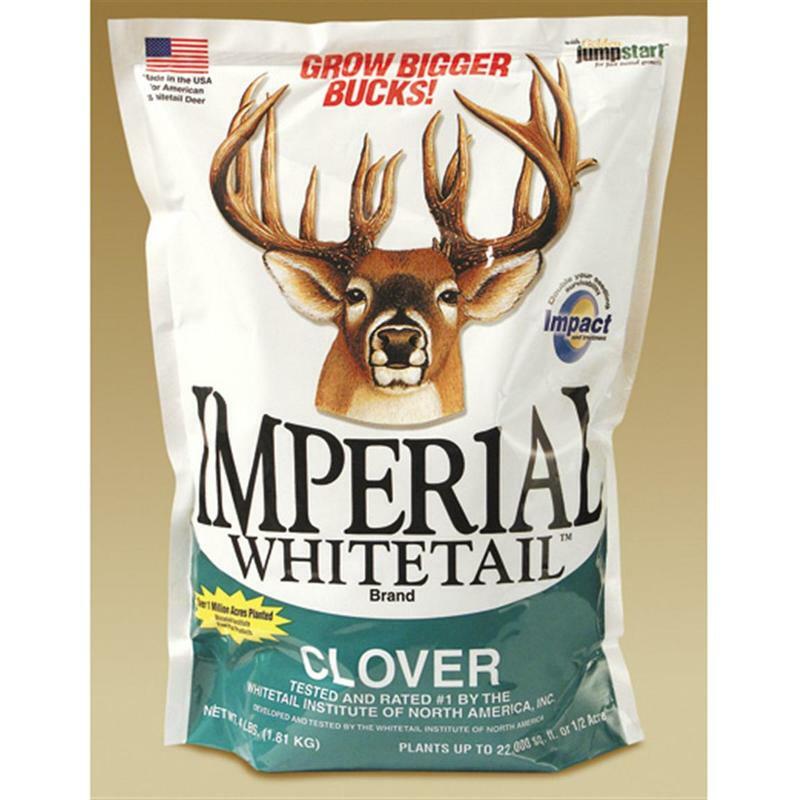 Imperial Whitetail PowerPlant is a blend of specially selected annuals that’s specifically designed to provide deer with lots of protein during the spring and summer. PowerPlant can withstand grazing better than other bean and pea plantings. 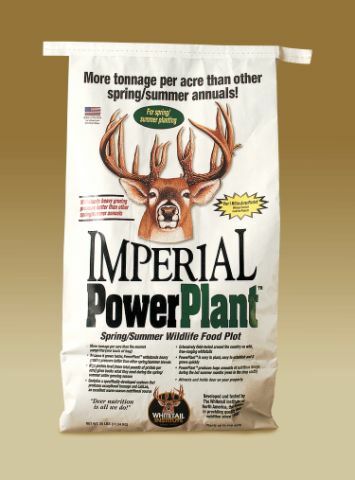 In fact, once PowerPlant establishes, it can even continue to grow as deer feed on it. At the heart of PowerPlant are vining forage soybean and peas that don’t get stemmy like agricultural soybeans can. PowerPlant also includes Sunn Hemp and small amounts of sunflowers to act as a lattice for the vining legumes to climb and maximize production instead of growing along the ground. Includes Sunn Hemp, a highly attractive forage that withstands heavy grazing and that also provides additional structure for the vining legumes to climb. rabbit repellant creates a barrier -- 24 hours a day! – that rabbits will not cross to reach your plants. And Rabbit Scram’s granular application won't wash off with rain as many spray repellents do. Rain Resistant! ... Rabbit Scram won't wash off or dissolve in water. 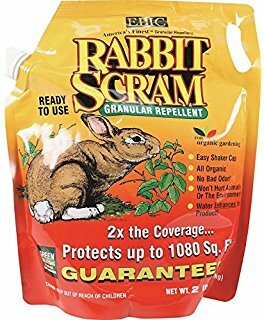 Rabbit Scram Lasts up to 45 days! VOLE SCRAM works with a novel Double-Action Protection to drive out voles from your garden and lawn: It works by taste AND smell. 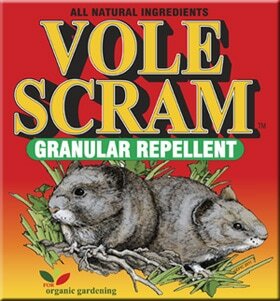 VOLE SCRAM is easily applied and contains ALL organic ingredients. It won’t harm people or animals and won’t wash away with rain. There is no mixing or spraying and no expensive equipment or maintenance required. The product is simply sprinkled on the ground or applied with a rotary spreader. There is no bad odor during or after application. When you determine the cost of our granules per linear or square foot, our products will provide more protection at a lower cost to you than other leading brands. Natural Guard Organic Animal Repellent is an all natural and non-toxic animal repellent made from certified organic ingredients. 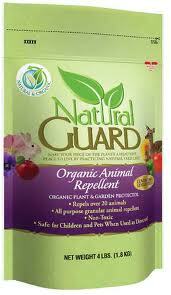 Natural Guard Organic Animal Repellent repels over 22 different animals - more than any other brand. Natural Guard Organic Animal Repellent also uses more active ingredients than any other animal repellent - 7. Natural Guard Organic Animal Repellent creates a barrier of scent that animals find irritating and can be applied directly to plants. 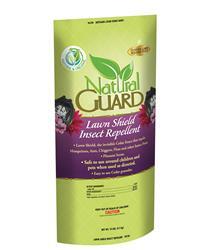 Use Natural Guard Lawn Shield Insect Repellent around shrubbery, in flowerbeds, vegetable gardens and lawns. Pleasant scent - cedar oil. Easy to use, safe to use around children and pets when used as directed. Creates an irritant scent barrier keeping insect pests away. Use to repel Ants, Fleas, Roaches, Beetles, Crickets, Chiggers, Chinch Bugs, Flies, Gnats, Mosquitoes and numerous other insect pests. Not detrimental to beneficial insects such as: bees, butterfiles and ladybugs. Apply at a rate of 1 lb. per 200 sq. ft. Apply as needed to maintain insect pest control. The Invisible cedar fence that repels insects. Always read and follow label directions. A unique, patent-pending high moisture rigid gel formula with all the advantages of liquid bait, without the mess. Since ants can walk around on the bait, more can feed at once, without drowning in the bait. The easy to use stations are activated by simply pushing in a precut hole with a pen. 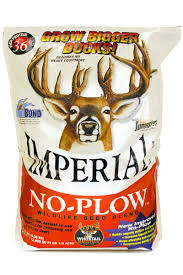 No Spill Ant Kill contains 3% borax and is available in packs of 6 x 0.25 oz bait stations.